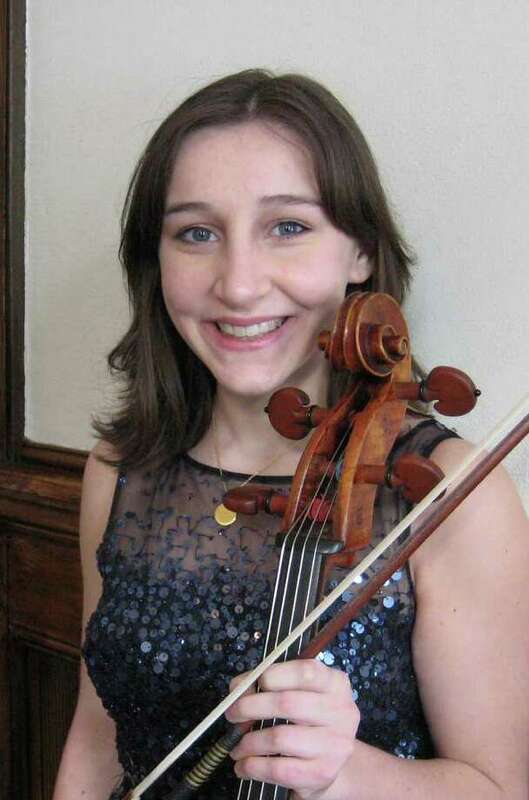 American Chamber Orchestra has named Eliza Fath, a 16-year-old Fairfield cellist, a winner in its concerto competition in February at the Pequot Library. A 16-year-old cellist from Fairfield was named a winner by the American Chamber Orchestra in its concerto competition held in February in the Pequot Library. Eliza Fath will perform the first movement of Haydn's Cello Concerto No. 1 in C Major with the orchestra at its spring concert on June 11 in the First Presbyterian Church of Fairfield. Fath is a student at the Pre-College Division of the Juilliard School of Music and studies there with Minhye Clara Kim. She is currently principal cellist with the Pre-College Orchestra. With her sister, who is a violinist, and pianist Alex Beyer, Fath is a performer in the Greenfield Hill Trio. Last year, the trio was a finalist in the International Fischoll Competition in South Bend, Ind. She has performed in concerts benefitting a number of charities and nonprofits, including Amazon Promise, the Norwalk Youth Symphony, the Chamber Music Institute for Young Musicians, Project Learn, Music for Youth, Mercy Learning Center and the Fairfield Historical Society. Last summer, Fath also worked with students from KEYS, a group that helps provide music lessons for Bridgeport public school students.